Best Root Apps: Today’s mobile apps are packed with almost every feature imaginable to make your lives so much easier and more manageable. At the same time, however, Only a few are aware of their full potential. Take the Android mobile operating system for instance. Although to a layman it would appear as though their device is fully sorted, it isn’t until they root their device that they experience a slice of all that is possible. 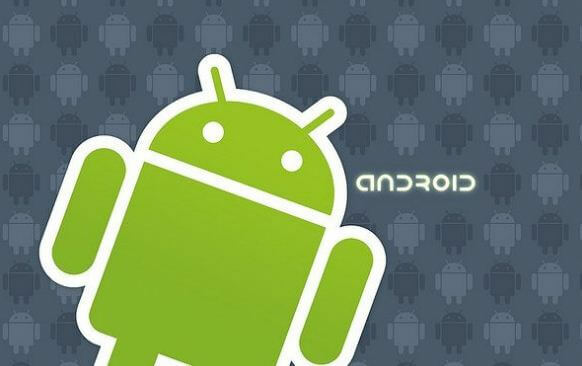 This is why we are here today compiling our list of the best root apps for Android devices. But before we get started, it is essential that we be on the same page about the activity of rooting, the best reasons to root a smartphone, and of course, the risks commonly associated with rooting and whether they at all stand to reason. Let us get started. Do we Need To Root An Android Device? Most of us could argue that with the recent advancements in the Android system, rooting has become a necessity of the past. While that is true to some extent, real tech heads are hardly satisfied with the limitations strung into their Android smartphones. There are many benefits to rooting which can only be experienced once you take your pick from among the best root apps of 2017. And we do not say that lightly. To begin with the basics, rooting is an activity that allows the user root access to their device, opening it up to their own will and not stay within the shackles of what the OS developer would want them bound by. Rooting on its own does just that and no more. However, there are hundreds of exploits that can be applied to a rooted device to tweak it to your will. The benefits of rooting include being able to free up unnecessarily occupied space on your smartphone, adjust the speed of your CPU, and block annoying advertisements in your favorite games and apps (yes, even in free versions). To put it in short, rooting opens up the doors of endless freedom of customization- to make your phone exactly what you want it to be. If all these prospects sound tempting to you, then you may give it a try with our list of best root apps. But before we get to our list, let’s find out about the risks involved. The moment you utter “rooting” in front of a more conservative crowd, you will hear a flurry of terms such as “a bricked phone” and “no more warranty.” And although you may be tempted to ignore them, it is our duty to inform you that they’re very real. So what are they? Well, the first thing that you need to know is that rooting an Android device (or any other device for that matter) will nullify the existing warranty. This is inevitable, and for many, the biggest dealbreaker of rooting. More so for rooting may also make your device susceptible to harm, with many suffering a bricked (broken) smartphone at the end of it all. However, the chances of that happening are relatively much lesser in 2017 than what it used to be 5 years back, and with our recommended list of the best root apps of the year, you can rest assured that your device will be in good hands. So while it is true that your warranty will certainly be lost, you will gain much more rather than be on the losing side. And wait until you start downloading any apps or services that you like, turning your humble old phone into a tiny computer of sorts. You surely won’t be complaining then. The bottom line is, the risks associated with rooting are gradually becoming a thing of the past, especially if you are careful. But there is one more thing that we should be clear on there is no one app or exploit that will work across all existing Android devices. The best root apps may work on certain devices while being completely non-functional on others. 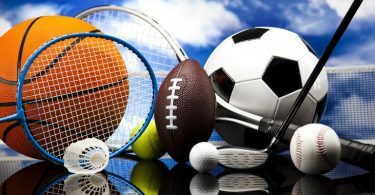 So we suggest you start at the top of our list and keep moving down to see which one works best for you. Also Read: Best VPN for Android for safe browsing. Framaroot: Framaroot is a reliable one-click root app that works well with plenty of Android devices. And what’s more is that the developers are dedicated to giving it better compatibility all around. The thing about Framaroot is that there are multiple exploits included within the app, so if the first one on the list does not work out for you, you can move on to the next one. These are also added regularly for better convenience measures. If, however, you find that the app is not working on your Android device, you may do either of two things: move on to another rooting app from our best root apps picks, or get in touch with the developers here detailing your model number so that they can improve their service. It is also one of the best root apps for hacking games. 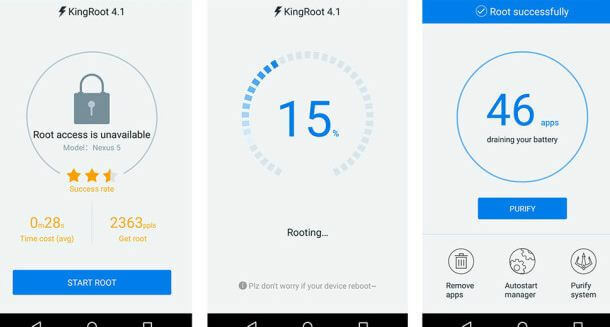 Kingroot: The Kingroot app is one of the best and most popular tools that you can use to root your device. The fact that it is one of the quickest and most effective methods to root an Android device is what makes it rank so high on our compilation of the best root apps. It is a one-click application, which means that all you need to do is to download and root. The best thing about Kingroot is that it lets you both root and unroot your device with just one click of the app. Another great plus is that the matter of varied support. Kingroot is compatible with many devices running Android 4.2.2 and above. VRoot: One of the yesteryear’s most favorite rooting tools, VRoot has recently been renamed as iRoot. However, we have to say that it maintains the same level of efficiency. With the new version, certain aspects of the app have been improved for better support and functionality. However, if you have used the older version of the app successfully before and want to download the same, you can still find it on some host sites. 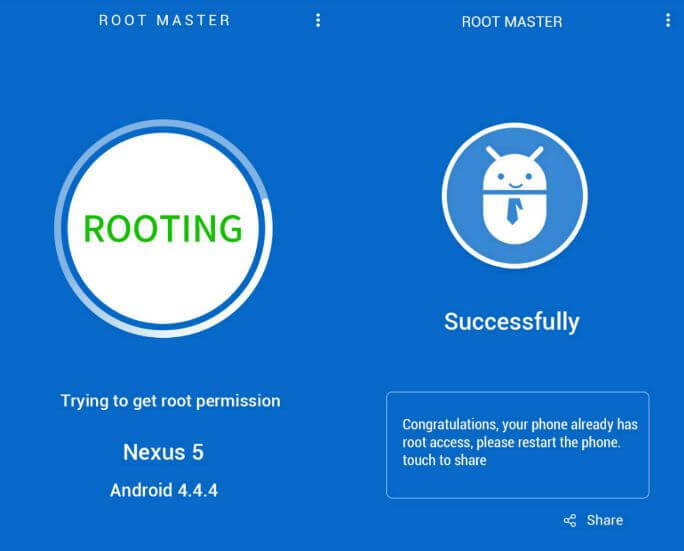 If this is your first time rooting, then you can try out this easy tool that is compatible with smartphones running Android 2.2 and above. For Android 7.0 users, this can also be one of the best root apps for Nougat. 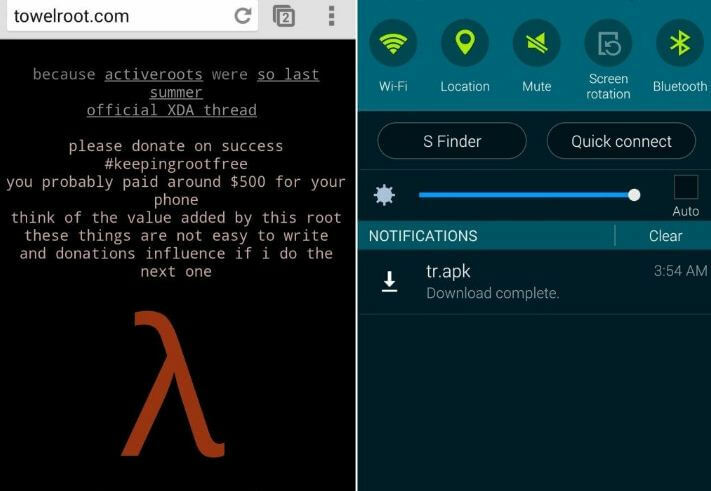 Towelroot: One of the best apps to root the Android phone without PC, Towelroot is one of the most efficient rooting tools that also boasts a solid track record. The thing about rooting tools is that even if one is successful to root a device running, say, Android 4.2.2, there is no guarantee that the same tool will be successful with another running the same OS. In terms of success, however, Towelroot has far fewer rivals. It is a nifty little tool that occupies lesser space than any other rooting app. The process of rooting with Towelroot is as easy as install and click on a single button. It can be used to hack devices such as Samsung Galaxy S5 or even some of the Google Nexus smartphones. Root Master: The last pick for the best root apps 2017 is the Root Master tool, which you may try out if all the other options above fail. Compatible with a particularly wide range of devices and operating systems, this app is a top pick among root apps without PC. 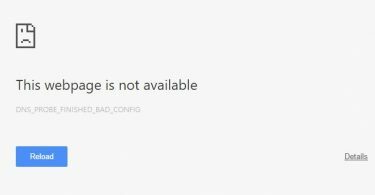 Because of this reason, you can forget about having to connect it with a Windows computer and the troubles of resetting your device after rooting. It is fully available in an English version, and the process itself requires you to simply press the root button and wait until you get a success message. It supports a number of devices from most big Android device manufacturers and can be deleted once you have completed rooting to save space. This concludes our best root apps 2017 list, which has been compiled keeping safety and functionality as priorities. If you have taken our advice and tried any of these, let us know if you have been successful. In case you haven’t, leave us a message in the comments telling us your smartphone model and Android version, and we will try to offer you a solution.